With the release Fiori, SAP has announced to the world that it is serious about improving the lives of users and it is spending resources providing easy to use tools. Fiori provides a greatly enhanced user interface built on an up to data HTML5 architecture. However, the question now comes up ‘How are my users using the new tools”? With Google Analytics, you can determine where your visitors are coming from, which links on your site are getting the most hits and how long the visitors spend on various pages of your site. In addition to providing critical marketing data, it also tracks browser features so that you can make informed design decisions. Analytics will tell you the screen resolution and connection speed of your users. Integration of Google Analytics with custom Fiori applications (and SAPUI5 architecture in general) will provide site owners and administrators a view into HOW the users are using the system, as well as key demographic information on the users who. The setup the Google Analytics account is basic and free. It is recommended that you setup for two accounts; one for production user and one to use as a base for testing. Click on the Admin tab at the top header area of the site. Google Analytics only tracks pages that contain the Google Analytics tracking code. The first step is to get the specific tracking code for your site. The second step (which will be covered later) is to add the code to each of your portal pages, which you want to track. You’ll need to update the “xxxx-x” in the sample above with your own Google Analytics account number. This example is meant to give you a basic overview how the integration can be completed. These instructions assume you have an existing simple Fiori Master List and Detail application. Step 1 – Add the ‘core’ Google Analytics to the Component JS file. 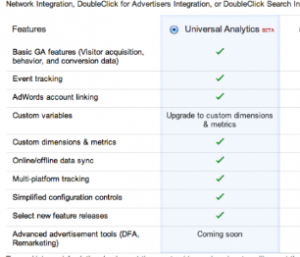 You can now utilize the variable to call Google Analytics and record Events or Page Views. For simplicity I am using the following code to register a Page View’ when the user clicks on an item in the master list. Whenever a user clicks on an item, a call is made to Google Analytics and a page view is recorded via the page ‘/ViewDetail’.